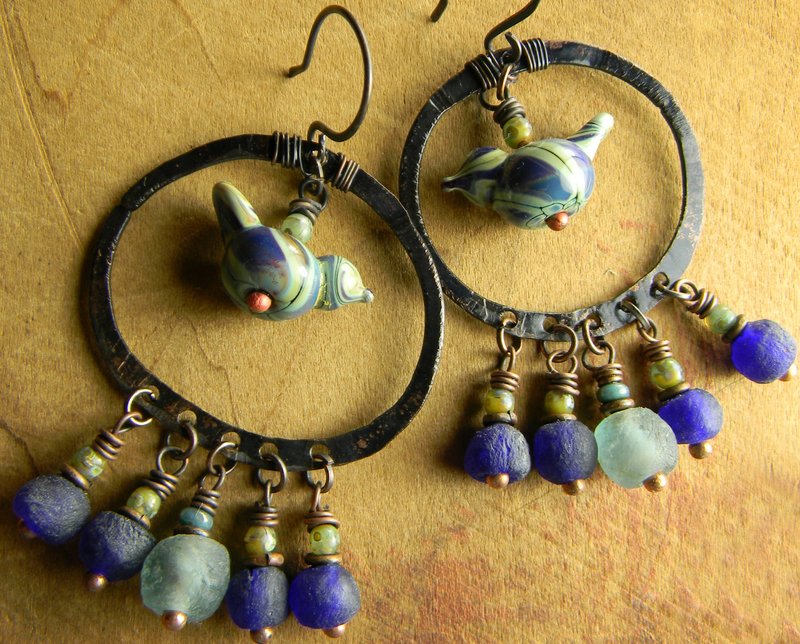 Lampwork Bird Hoop Earrings, with rustic hammered and wire wrapped copper hoops, artisan birds from Nikki Thornburg-Lanigan, and African recycled glass bead dangles in soft green and cobalt blue. 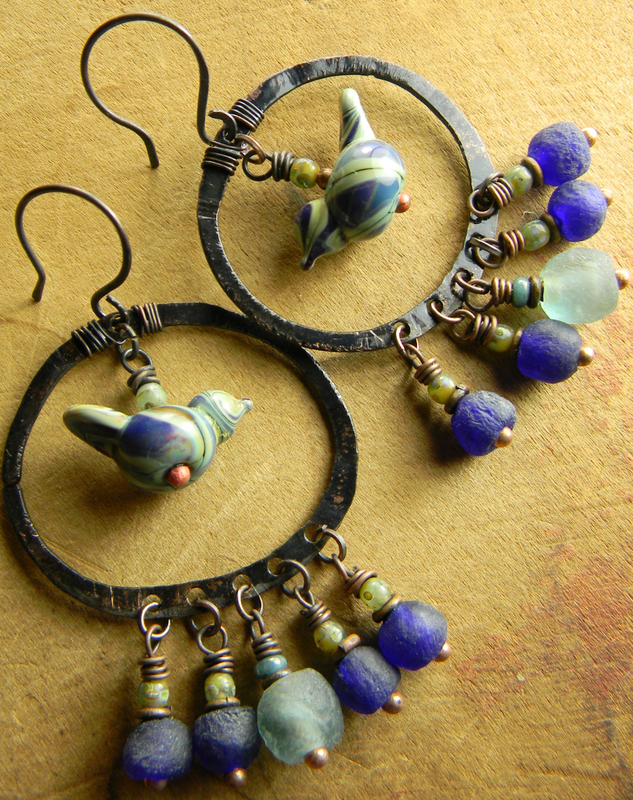 These boho style earrings are 2.5 inches in length, 1.5 inches wide, and not overly heavy in weight. All my jewelry is 100% workmanship guaranteed. Any problem with construction or component failure within one year (under normal wear conditions) will be corrected at no charge to you. No returns please, unless you have received a return merchandise authorization. 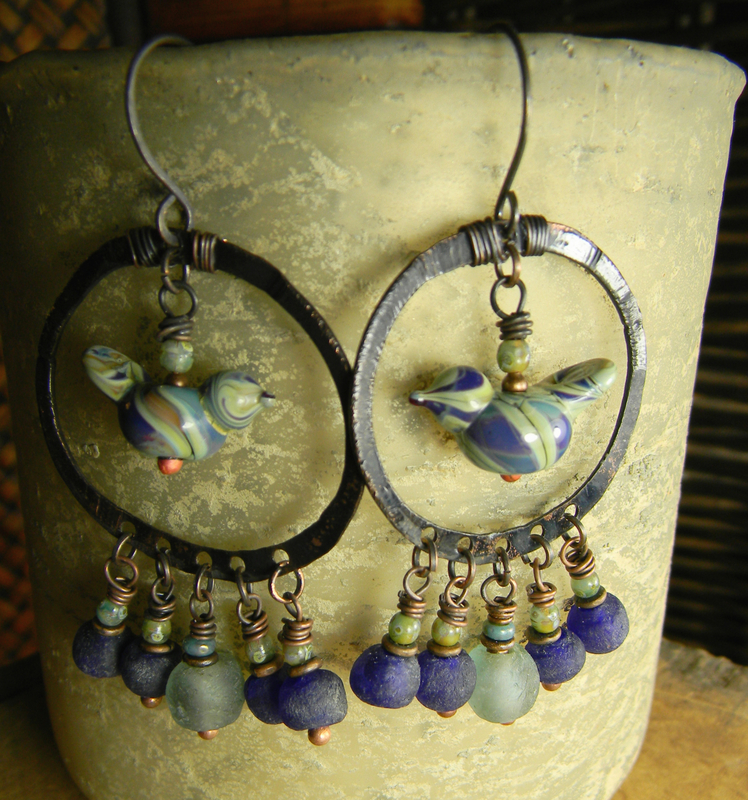 Shipping cost is $3.00 for the first item, and .50 for each additional item in the US.